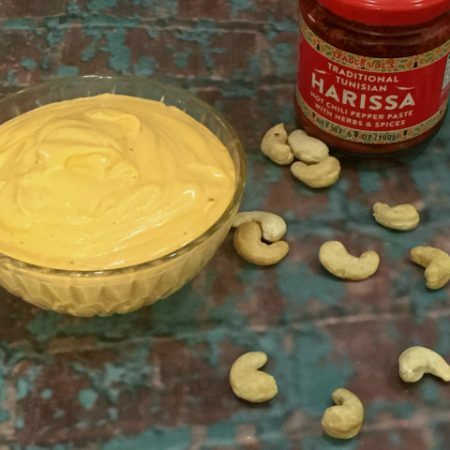 Harissa Cashew Cream. Spicy, yet slightly sweet, so creamy you’ll question it’s dairy-free status. Perfect on a sandwich or wrap, right at home on a baked potato instead of sour cream or tossed with roasted cauliflower. A dollop on top of chili or stew. So many possibilities yet so few ingredients! 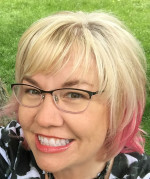 In case Harissa is new to you, I’ll quickly share a bit about it. It’s a hot pepper paste often attributed to Tunisian or Libyan foods. While it can be made at home with a variety of peppers, cumin, garlic, coriander and caraway, it’s widely available in jars at the grocery store. I buy mine at Trader Joe’s. Always good to check all ingredients. I’ve not seen one made with gluten, but you should check always. Tomorrow I’m sharing a recipe that is perfect for using about half a recipe of Harissa Cashew Cream, a roasted cauliflower dish with dates and pistachios. But today I’m eating this on top of a baked sweet potato. 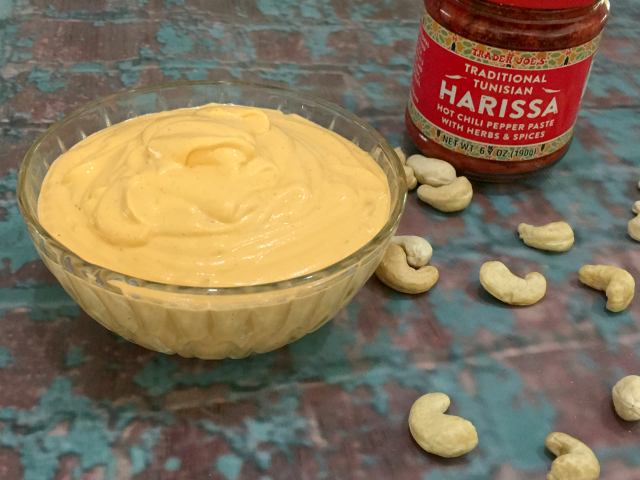 The sweetness of the potato combined with the flavor of harissa in a creamy sauce is so very nice. Soak raw cashews in enough water to fully cover them overnight. Drain and rinse when ready to use. Place cashews, cold water, lemon juice and sea salt in carafe of high speed blender. Blend on high until smooth. Add harissa paste 1 teaspoon at a time until desired level of heat is reached. I like to add a full Tablespoon but some find that too spicy. Once desired level of heat is achieved, you can add water 1 teaspoon at a time to reach the thickness you like best.